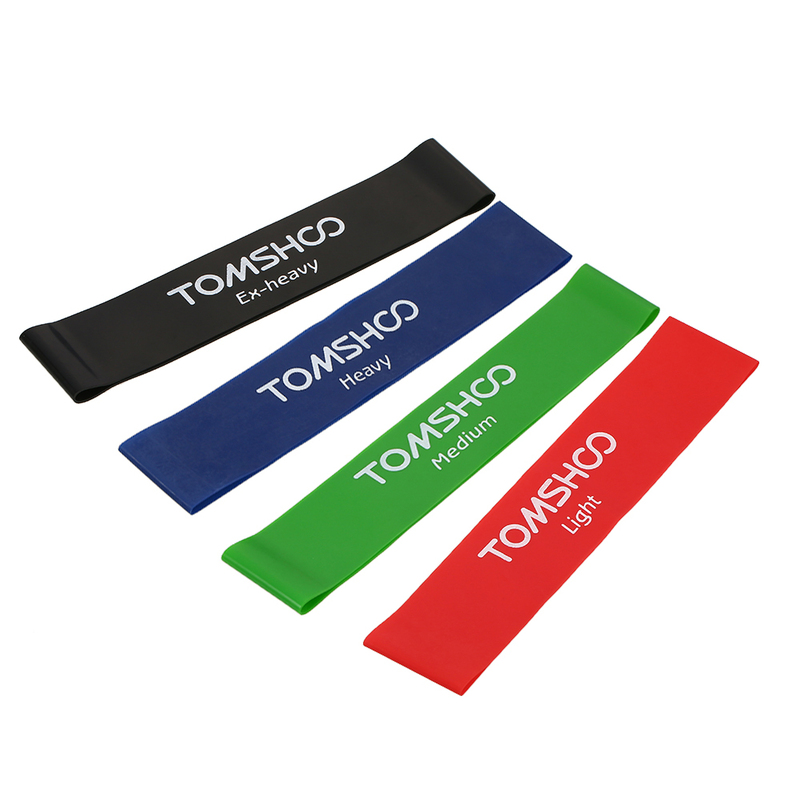 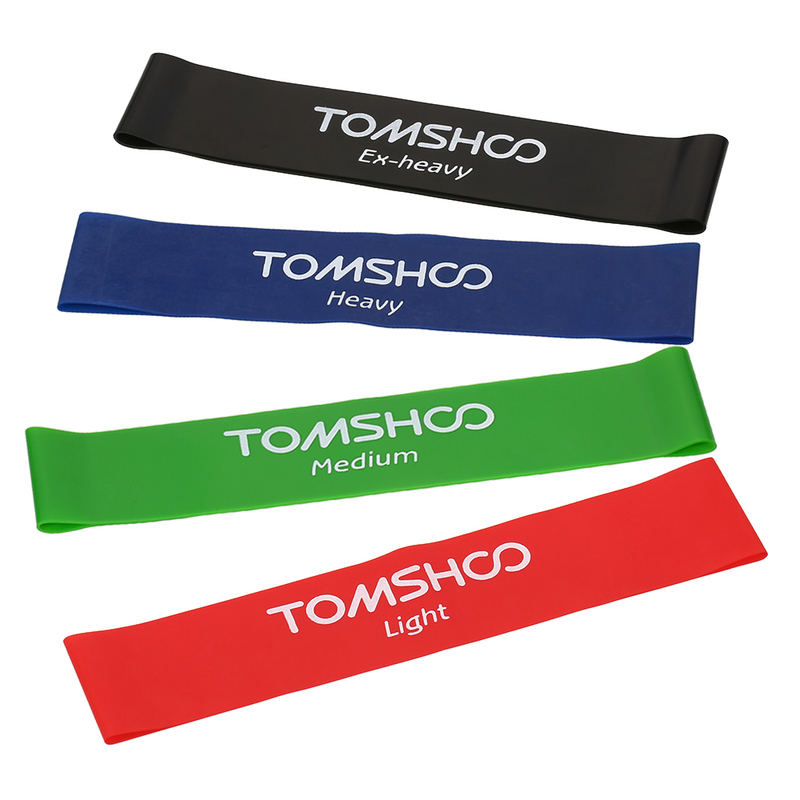 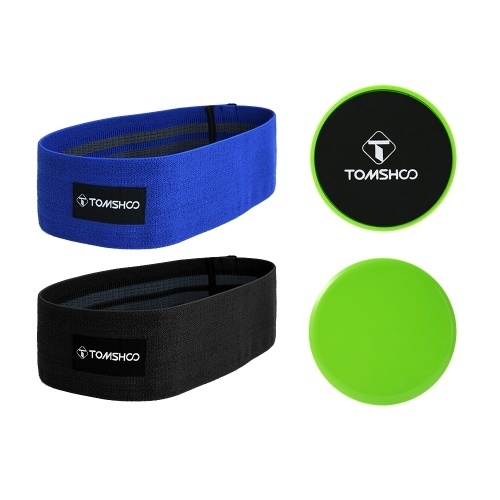 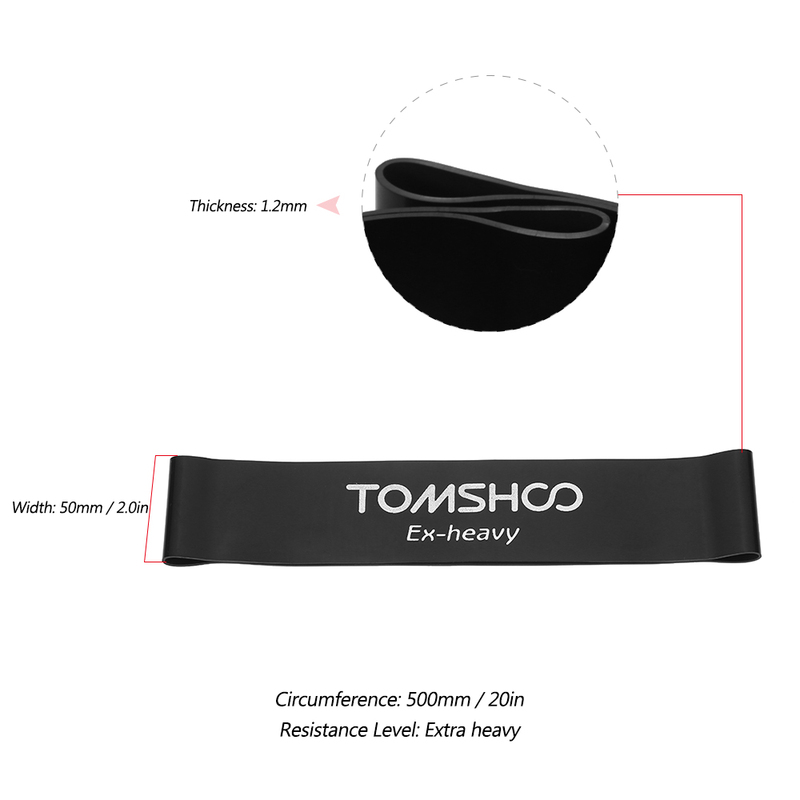 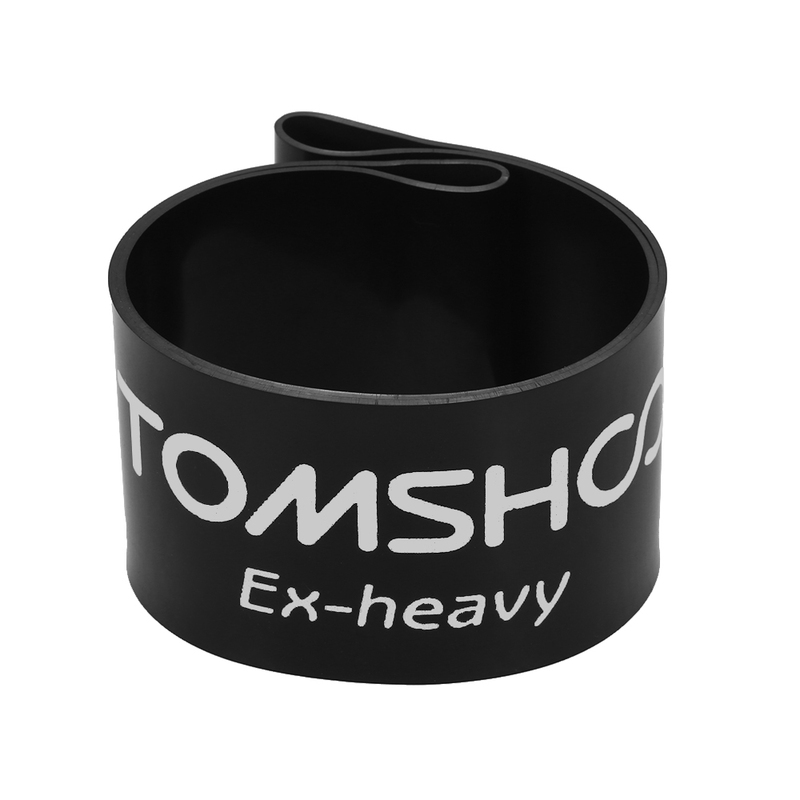 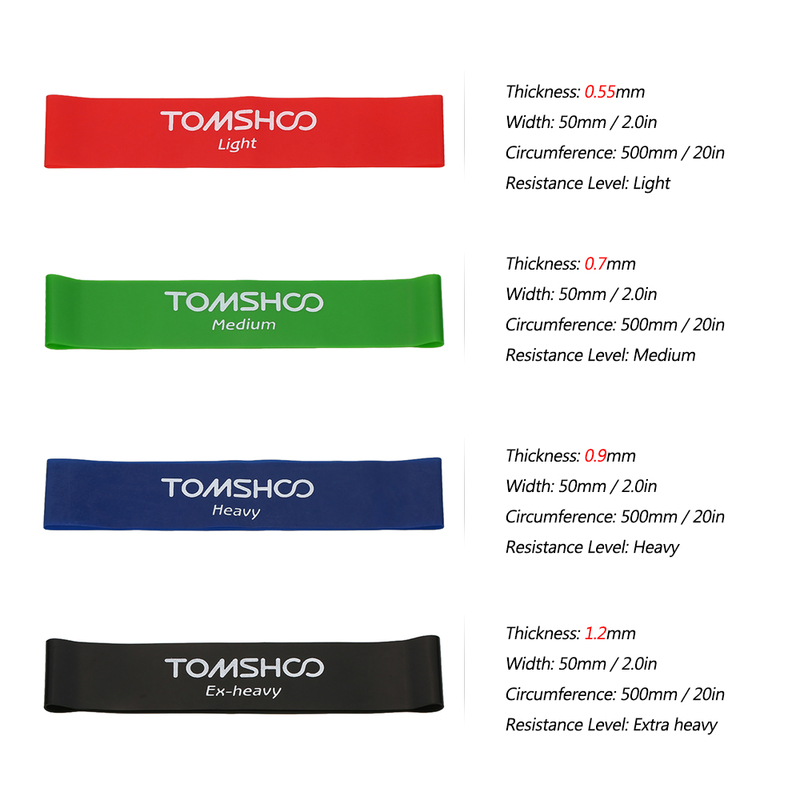 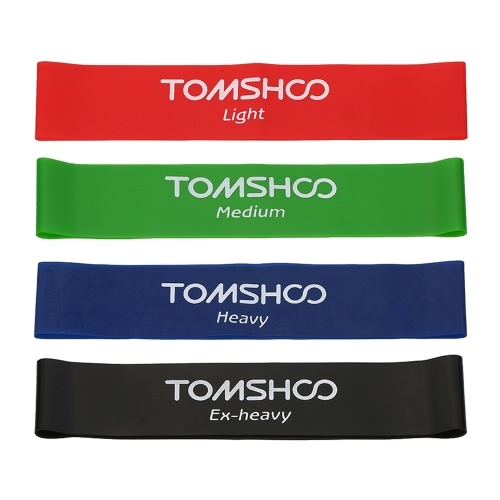 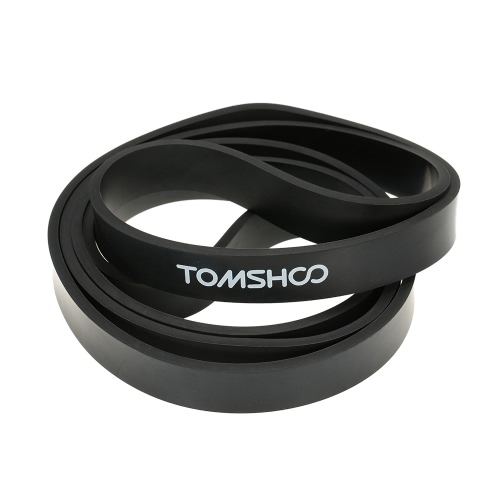 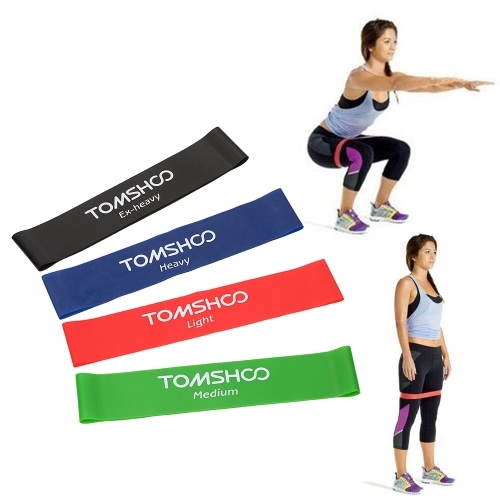 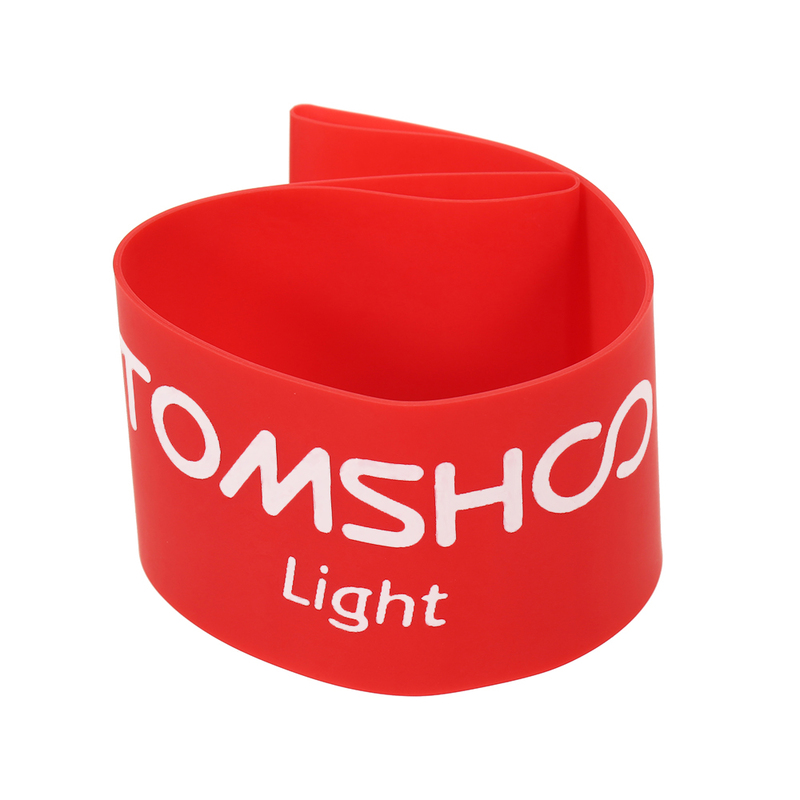 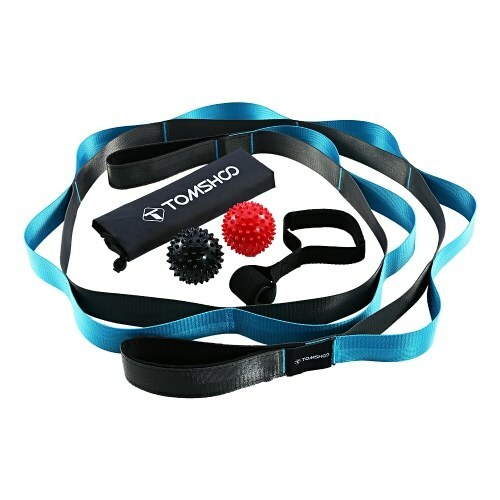 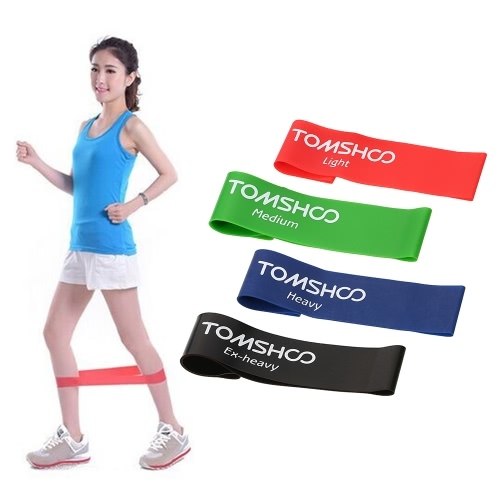 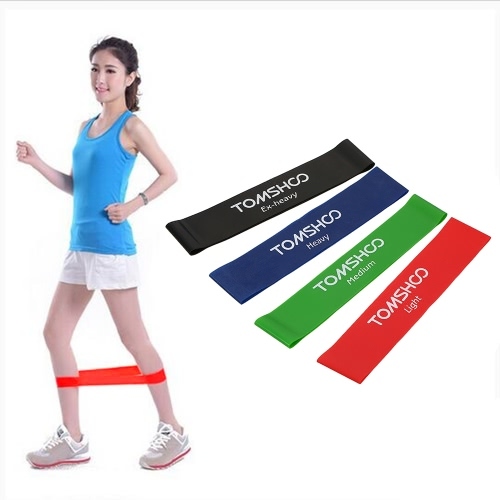 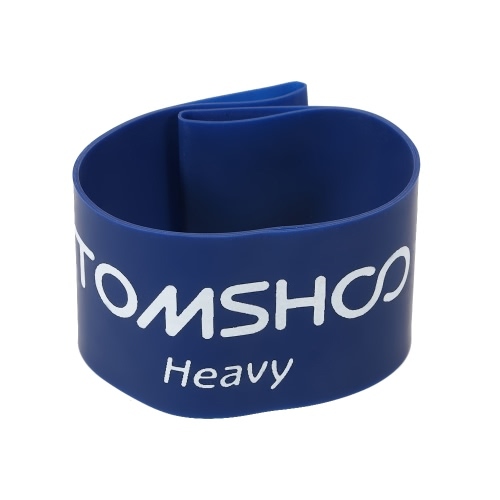 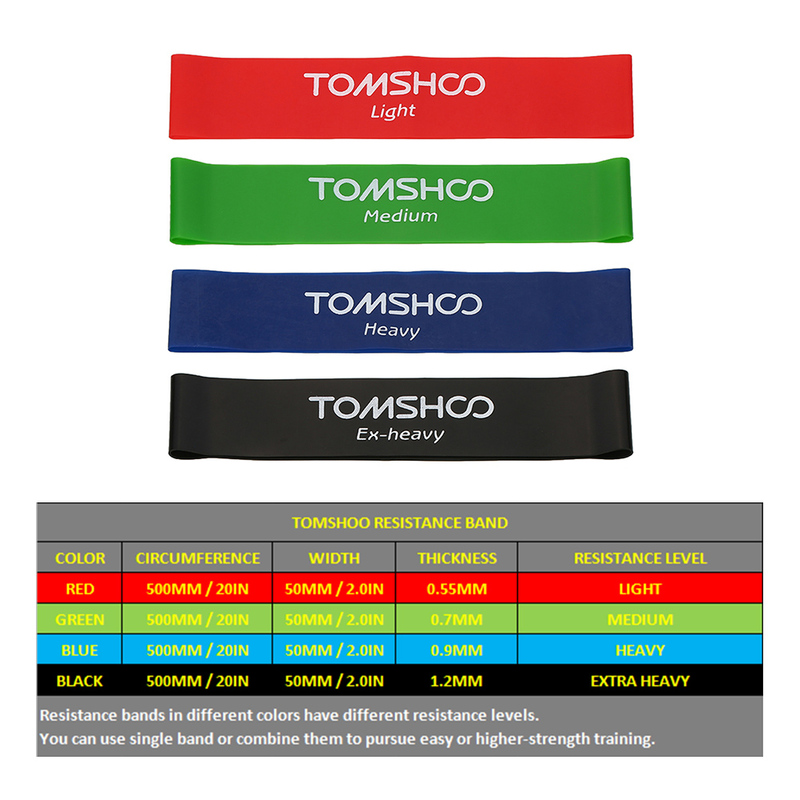 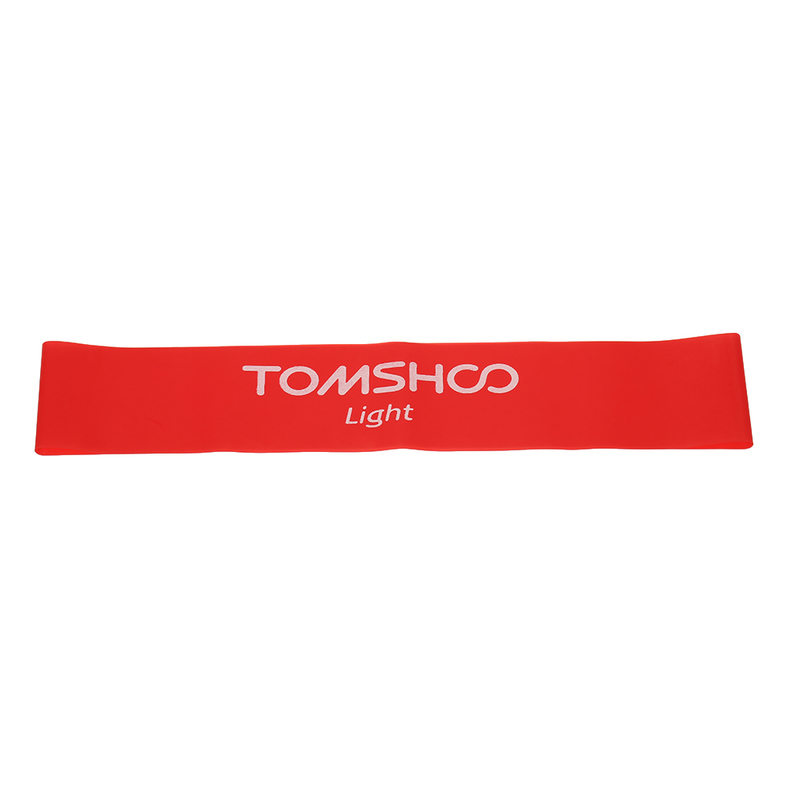 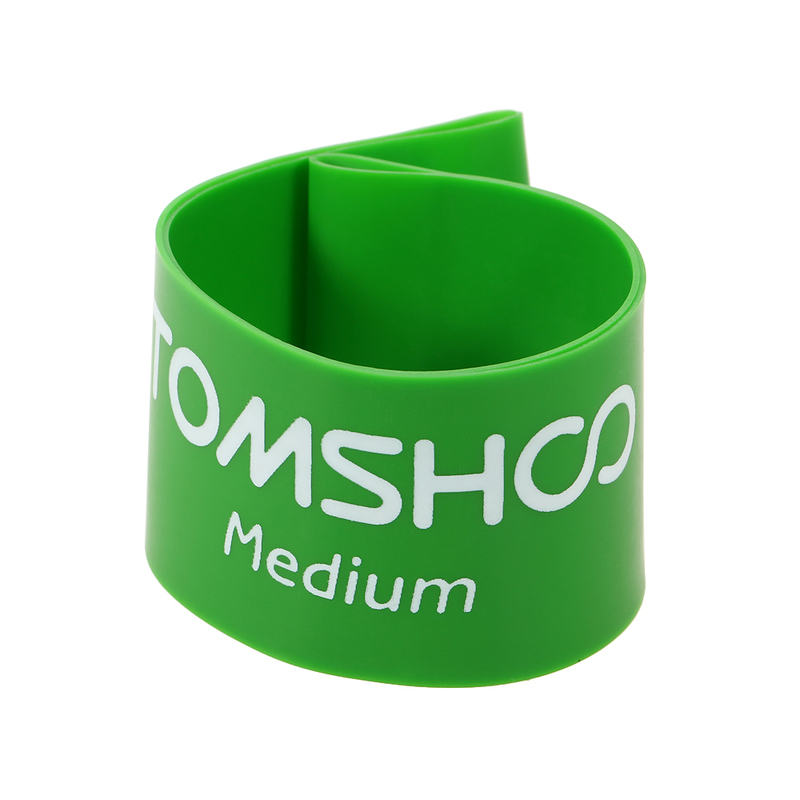 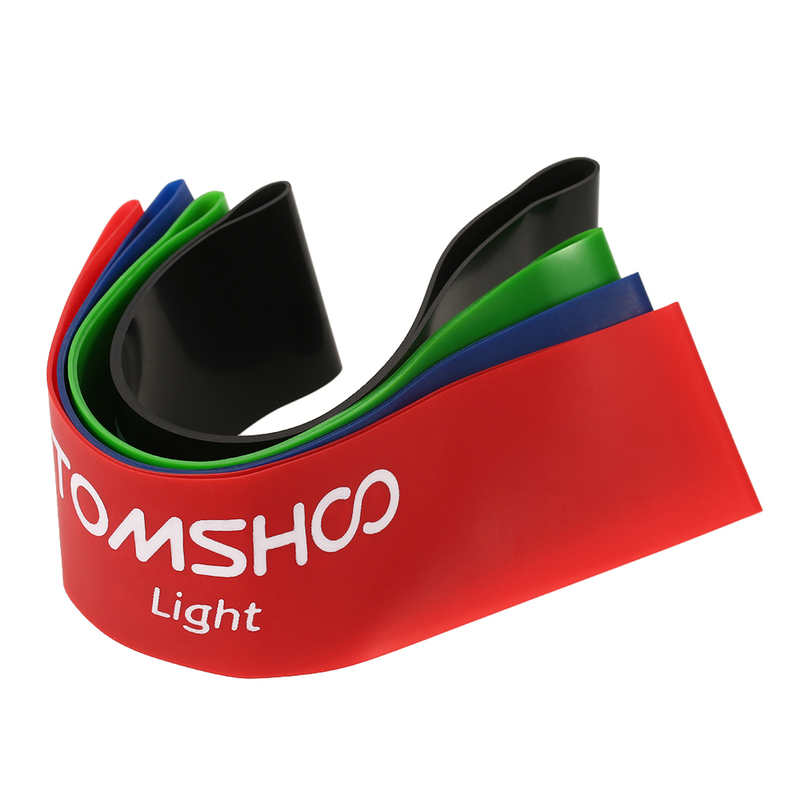 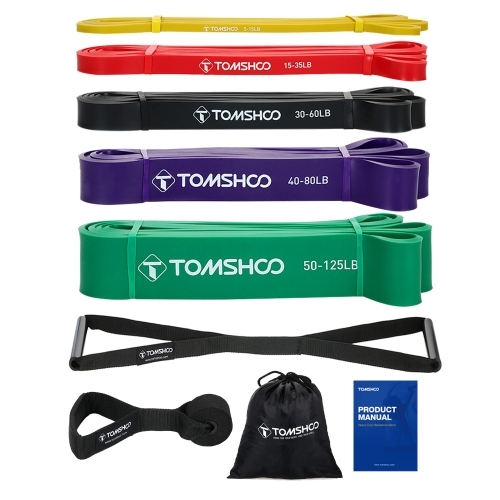 TOMSHOO resistance band helps strengthen your arms, shoulders, thighs, buttocks, and more! 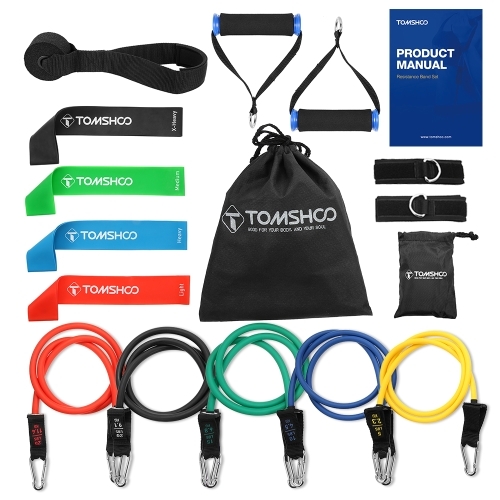 It lets you get full body workout without having to join an expensive gym membership. 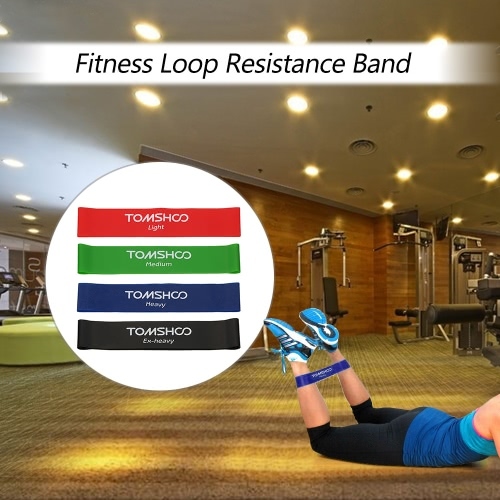 The band is made of high quality natural latex that is snap-resistant and flexible, so that you can stretch it repeatedly for the best workout experience. 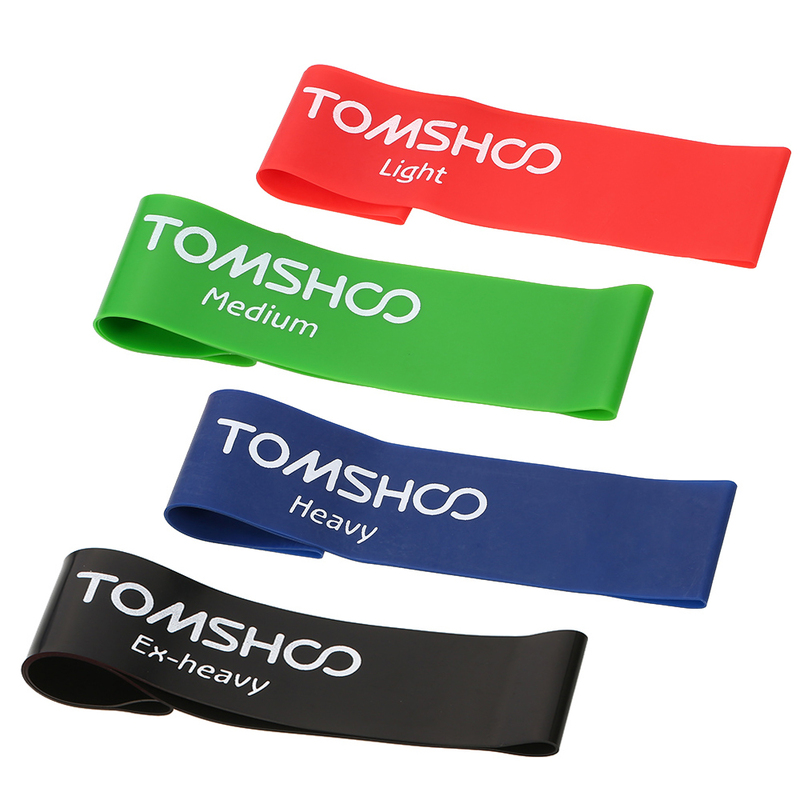 It is lightweight and easily fits into your bag or briefcase, just take it and begin your exercise wherever you are! Set of 4 loop resistance bands, each band offers a different resistance level so you can increase your workout intensity gradually. 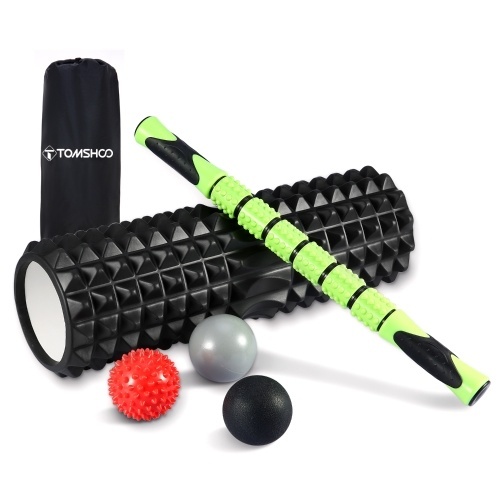 Help to increase strength and mobility and help prevent injury or assist in injury rehabilitation, suitable for both men and women. 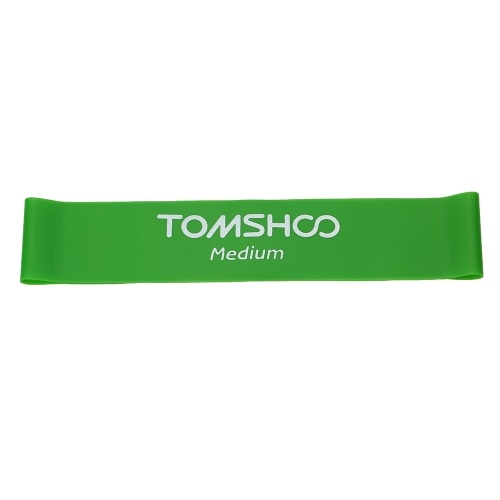 Measures 10 inches by 2 inches when laid flat (20 inch circumference), stretch further to ensure best user experience. 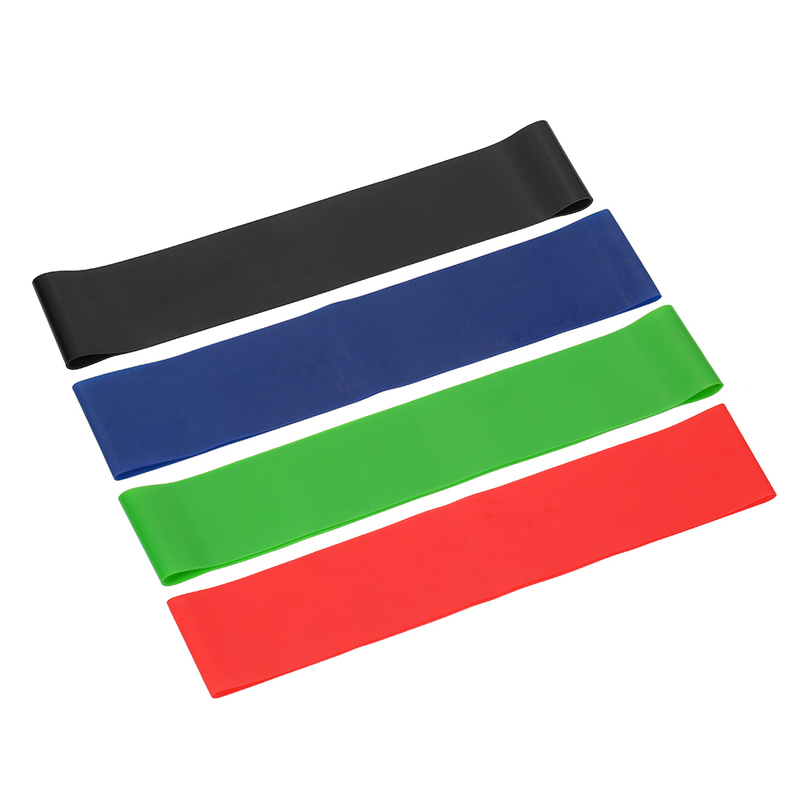 Made from eco-friendly pure natural latex which is snap resistant and can be stretched repeatedly years after years. 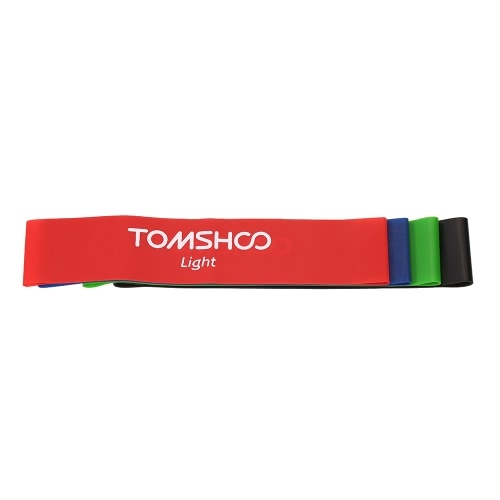 Flexible loops are lightweight and easily fit into your carry bag or briefcase, great for workout at home, the gym or when traveling. 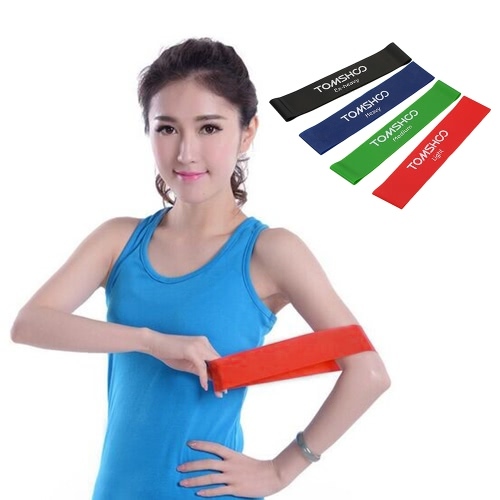 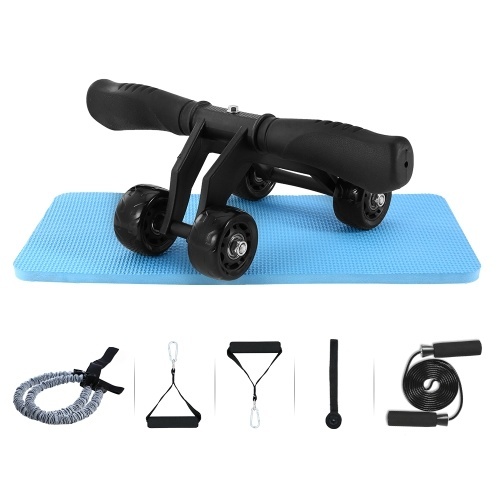 Improve muscle tone in arms, legs, back and buttocks, perfect for physical therapy, yoga, pilates, stretching exercises, fitness without having to go to gym.